You are browsing the archive for Oracle Applications. Commitment Balance Report is a standard Oracle report that is available in Oracle Receivables and Oracle Order Management. This report gives the summary of all invoices, credit memos of customers and shows the current balance. 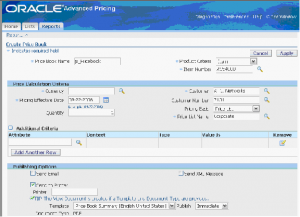 Oracle Order Management is one of the critical and most popular module for oracle e-business suite, its functionality is being enhanced in every release very significantly. In R12 there are lot if important features added to Oracle OM. Credit Card Encryption: Credit Card information is encrypted during order entry and is directly stored in central payments. The data entry for credit card fields are also masked. Credit card security code: Apartment from credit card number, now credit card security code field is added for online transactions. 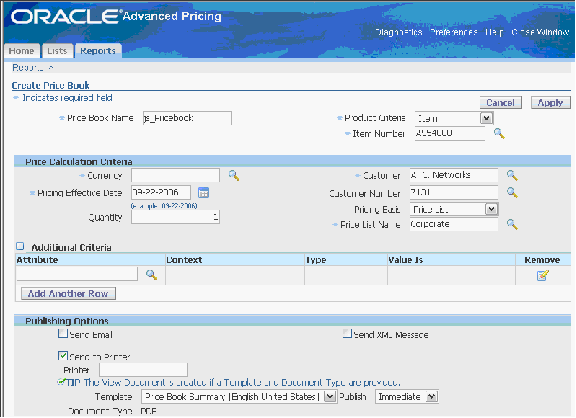 Customer Acceptance: In previous versions revenue recognition is happens in Oracle when the goods are shipped. Many customers expect revenue recognition when goods are received by customers. Customer Acceptance feature facilitates this functionality. A new action in order cycle workflow enables Customer/fulfillment acceptance. Workflow Retry Exceptions: A new concurrent program introduced that will allow you to resubmit the workflow records that are in error condition. Inventory Merge: Oracle Order Management enhanced to support the merging of discrete inventory & process inventory modules. Mass Scheduling: Mass Scheduling concurrent program can now handle lines that failed manual exceptions. Multi-Organization Access Control: In previous versions each OM responsibility is tied to an operating unit and you have to switch responsibility to enter sales orders in new operating unit. Now with MOAC feature you don’t need to switch the responsibilities. A new profile option ‘MO: Security Profile’ is introduced that will allow you to control access to one responsibility by multiple operating unit.